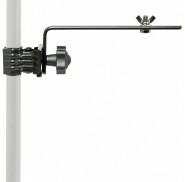 Camera holder, with clamp Material: Metal (structure), rubber (anti-skid clamp) Fixing: On any 18-mm to 45-mm-diameter tub..
Cup holder with clamp for stand Material: Metal (structure), rubber (anti-skid clamp) Fixing: On any 18-mm to 45-mm-..
Clamp for universal microphone holder Material: Metal (structure), rubber (anti-skid clamp) Fixing: On any 18-mm to 45-mm-.. 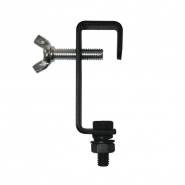 Lighting holder, with clamp, long Material: Metal (structure), rubber (anti-skid clamp) Fixing: On any 18-mm to 45-mm-diam.. 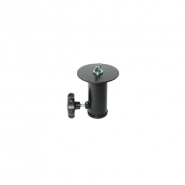 Lighting holder, with clamp, short Material: Metal (structure), rubber (anti-skid clamp) Fixing: On any 18-mm to 45-mm-dia.. 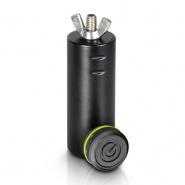 The SF 36 M10 F lets you attach devices with M10 bolt mounting to a 35mm pole. Ideal for effects lights. Product type - Stand.. 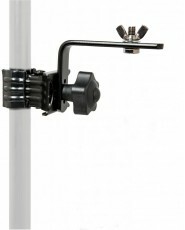 The SF 36M 10M lets you attach devices with 10M nut mounting to a 35mm pole. Ideal for stage lights. 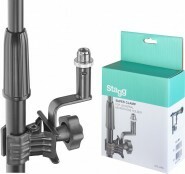 Product Type - Stands &.. Designed to fit on horizontal and diagonal truss braces - Add a new dimension to your lighting design by using the truss braces i.. 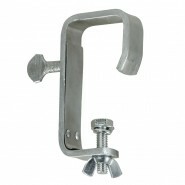 Heavy duty, robust design Angle adjustment Removable faceplate for easy attachment Maximum load: 5kg (Dependant on stand).. 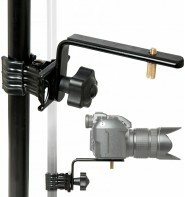 Designed to quickly mount a light effect to a lighting stand and allow the light to be rotated 360 degrees. This revolutionary des.. The quick way to hang your lights. 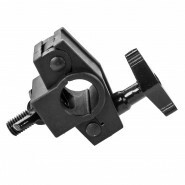 Simply attach the spigot to your light and the clamp stays permanently attached to your T-bar. 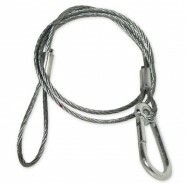 ..
Safety cable complete with shackle for added security when lights are mounted on lighting stands and rigs. 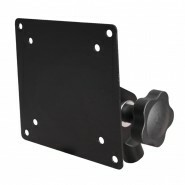 750mm L..
stand adapter with M8 screw - inner diameter 35mm - durable steel, black coated - diameter of dish: 9cm - gr..
Strong metal G clamp fitted with protector strip designed for hanging light effects. 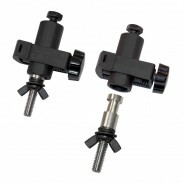 Fits on bars up to 25mm diameter. 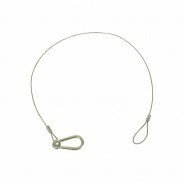 ..
Strong metal G clamp fitted with protector strip designed for hanging light effects. 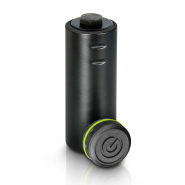 Fits on bars up to 50mm diameter. 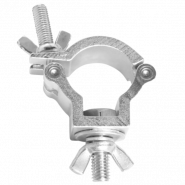 ..
CHAUVET® encourages customers to make safety a priority by utilizing the right clamps and cables for their lighting appl..